Daily Life Therapy or "Seikatsu Ryouhou" is an educational model developed by Dr Kiyo Kitahara thirty years ago in Tokyo, Japan. It is based on Dr Kitahara's experience of teaching autistic children and normal children in the Musashino Higashi Kindergarten. 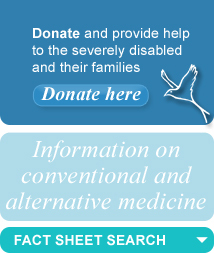 According to Dr Kitahara Daily Life Therapy is "a method of educating children with autism". There are two Higashi (Higashi means hope in Japanese) schools where the Daily Life Therapy is applied: Musashinou Higashi Gakuen in Japan, the first school opened, and Boston Higashi School in the USA, which was opened in 1987. Japanese culture is largely involved in the integrated program in Tokyo, whereas the American school has a mixture of American and Japanese teachers. The aim of the Daily Life therapy is to develop daily living skills and to promote the integration and independence of autistic patients in society as well as their self-esteem. Daily Life Therapy is based on eastern philosophy and Japanese pedagogy. It is believed that in order to create a 'stability of emotions' children need to learn how to be independent. Through repetitive routines they are taught how to wash or dress themselves and eat properly. The Daily Life Therapy is not based on a one-to-one approach, the instruction is group-oriented, 6 to 10 children are usually grouped first by age then by skill level. Dr Kitahara observed that autistic children tend to be socially isolated, he believes that these children benefit from group therapy as there is always a greater interaction within a group and children can also gather information from not only the teacher but also the other students. It is thought that learning is based on imitation, but autistic children rarely imitate people who surround them. At the Higashi schools, verbal or motor imitation plays an important role whether it is done by reciting and repeating words or copying behaviours. In the Japanese school, autistic children learn to model the other children who also attend the school. Physical activities have a significant role in the curriculum. The aim is to stop any unproductive activities, which usually lead to tantrums. Dr Kitahara believed that rigorous physical activities would release endorphins (chemicals created by the body to suppress pain) and thereby control anxiety, which is the cause of tantrums in autistic children. Through physical activities children may also better control their behaviour and establish a rhythm of life. The children are taught language and mathematics to stimulate their intellect and art and music to enable them to express themselves and increase their self-esteem. Autism: any autistic individuals aged 3 to 22 providing they do not suffer from severe mental retardation, uncontrolled seizures or physical disabilities. Dr Kitahara has always stressed that Daily Life Therapy is not a cure for autism. It is claimed, however, that 80% of autistic children who attend the Higashi School follow a normal life and 60% are said to be able to join a mainstream school. Opponents to the therapy argue that the instruction taught is very rigid and may not suit Western children as well as Japanese children. It is also an expensive therapy as the cost for one year is around £55,000.